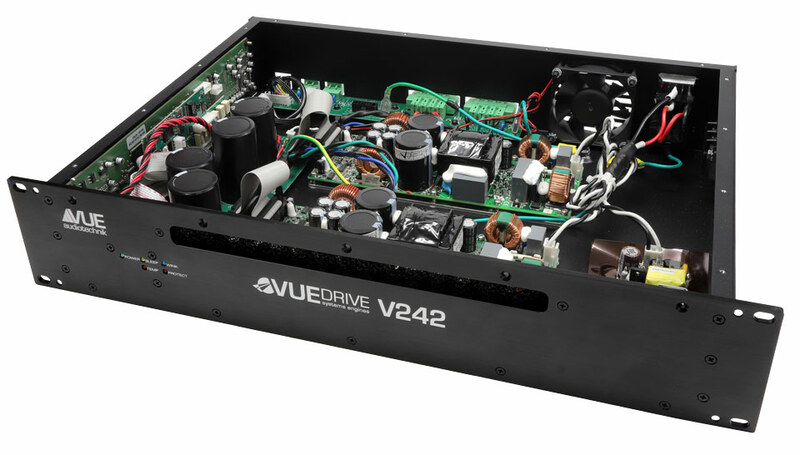 The es-269 apples VUE’s patent-pending ACM -Active Compliance Management- technology from the hm-class subwoofers, to a new compact even “mini” subwoofer breaking the normal size ratio to SPL output standards. ACM technology combines both band-pass and vented alignments into a single enclosure. The s-269 places two high performance, 6×9-inch transducers into this configuration, with both woofers sharing a common vented chamber. One woofer’s frontal radiation is direct, while the second woofer’s frontal radiation drives the band-pass chamber. 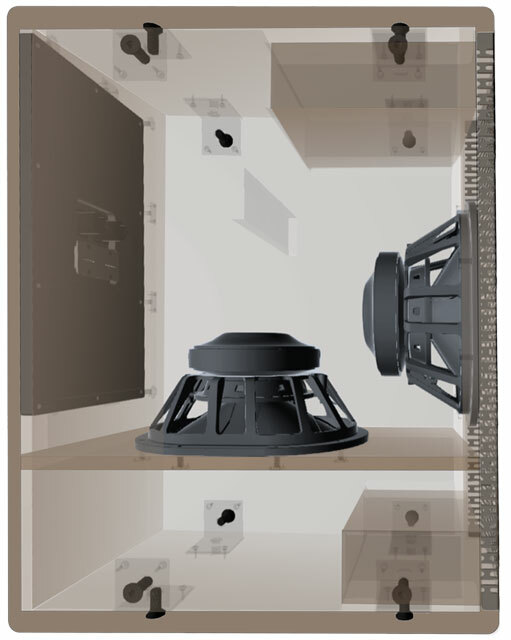 Using sophisticated DSP the two ACM subsections combine acoustically precisely aligning the phase arrivals of the front facing woofer, the common chamber vent, and output of the bandpass chamber vent. The powerful amplifier sends 200W of pure sine wave power (350W “burst”) with a unique optimized signal to each woofer. The combination of 700 watts of burst power produces over 124 dB peak output in a half space environment (ground stacked). The combination of ACM, precision-engineered transducers, and sophisticated electronics allows the s-269 to deliver much higher output throughout its operating bandwidth from a remarkably small enclosure. System Designers can now combine the pristine audio quality and unprecedented size to output capabilities VUE’s e-Class offers into their fully scalable AV environments using the familiar Q-SYS Designer Software and native user control interface. Both woofers share a common vented chamber. The DSP-modified signal to each woofer changes the compliance of air, thereby increasing the effective volume within the main chamber. For detailed information about how VUE’s proprietary ACM™ design produces more low-frequency output for a given size enclosure than other vented box designs see the ACM technology page.